Do you lead a hectic lifestyle or suffer from low energy, poor nutrition, or excess body fat? Vitamin injections at The IVy by HHMD in Glendale, California, can help you to feel better, recover faster, and support your active lifestyle. The IVy team has specialized in injection therapy and expert health and wellness care for more than 10 years. 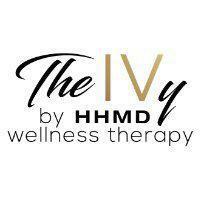 Call or schedule a consultation at The IVy by HHMD online today to learn more about vitamin injections. Vitamin injections are highly concentrated doses of vitamins administered via injections. Similar to receiving a vaccination, The IVy team utilizes a small, sterile needle to inject specific vitamin compounds into your upper arm. Why would I get a vitamin injection? Over time, vitamins you get through food can be used up. Without replacing those lost nutrients, you may experience side effects. Essential vitamins help you to utilize fats and carbohydrates as fuel sources for a faster metabolism, sustained energy, and overall well-being. If you are experiencing stomach or intestinal problems, poor nutrition, infections, or cancer, your body cannot properly absorb and utilize vitamins from your food. Vitamin injections allow greater access and absorption of these vitamins so your body can heal and thrive. What types of vitamin injections are available? Vitamin B12 burns fat and carbohydrates to lose weight and supports the function of muscles, blood, and nerves. B12 also creates energy on a cellular level to reduce fatigue, improve stamina, and maintain focus. Vitamin B complex includes the eight essential B vitamins. While most people get these vitamins through their food, some individuals—like athletes, vegetarians, and the elderly—may need additional supplementation. B complex helps with metabolism, healthy skin, proper function of the immune and nervous systems, muscle tone, and anemia. Glutathione is an antioxidant that decreases in quantity as we age. It is used to reduce free radical damage, synthesize and repair DNA, process vitamins C and E, and slow the aging process. Methionine inositol choline (MIC), or lipotropic, injections help release excess body fat for weight loss. With an in-house compounding pharmacy, The IVy team offers specialty injections, including multiple vitamin mixtures, to address your unique concerns. What are the benefits of vitamin injections? While many people get enough vitamins through the food they eat, some people may need additional supplementation. Vitamin injections offer an alternative to traditional nutritional supplements and can be used in combination with other therapies. Vitamin injections can also be used in place of an IV drip or infusion when you’re short on time and need to get in and out quickly. If you need extra support beyond basic nutritional supplements, call or schedule an appointment online at The IVy by HHMD to learn more about vitamin injections.